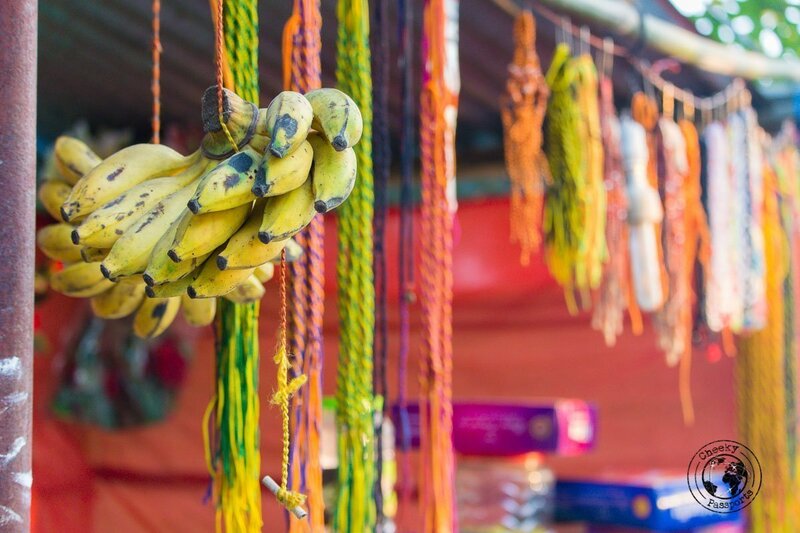 The charming and peaceful Majuli island, is one of the best places to visit in Assam, and is a convenient and practical place to put on your itinerary since it is not very difficult to get to. 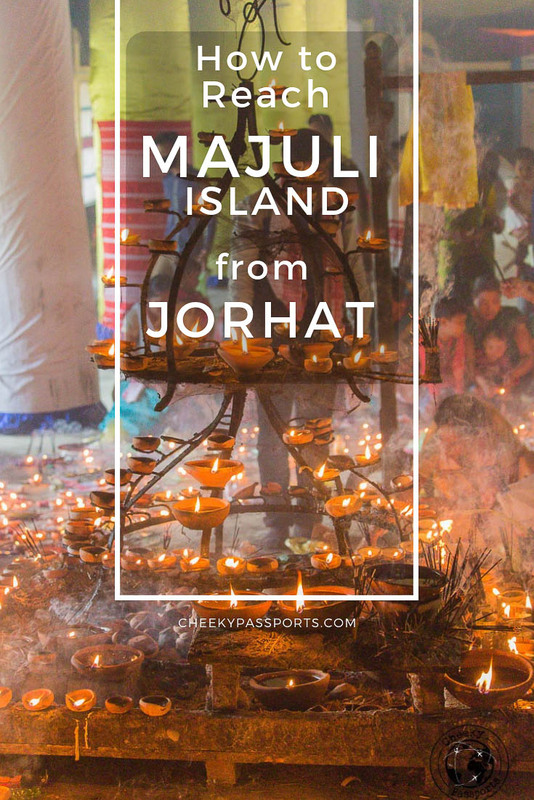 Here is a step by step guide on how to reach Majuli Island from Jorhat, Assam. 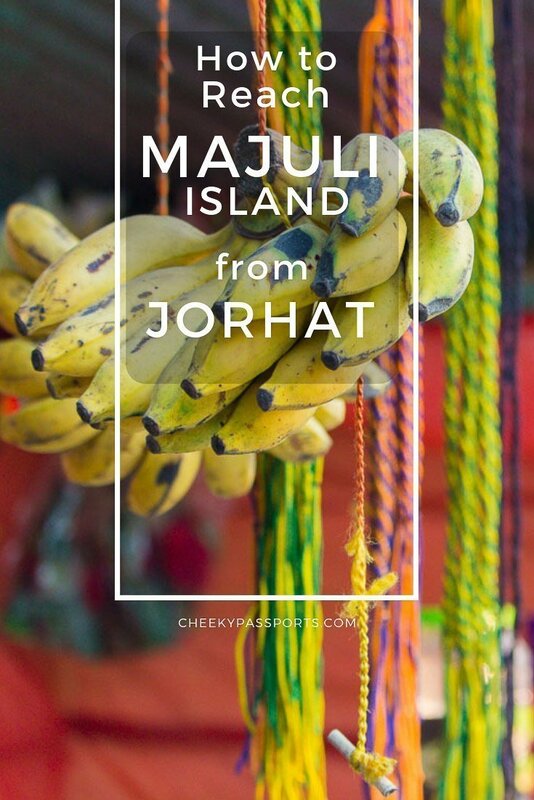 A full blog post about Majuli island including tips and recommendations, can be found here. Having trouble booking flights to the Guwahati (Gateway to Majuli)? Choose Kiwi! Shared tempos leave from the tempo stand at the northernmost part of Mahatma Gandhi road, corner with AT road in Jorhat, Assam, directly to Neemati Ghat for Rs 30 (€0.37) each. Follow this link to google maps for the precise location. Be aware that four or five people are made to fit in each row of narrow seats, so unless you are really skinny, the short ride may be pretty uncomfortable! You might want to pay for extra seats for the sake of comfort! 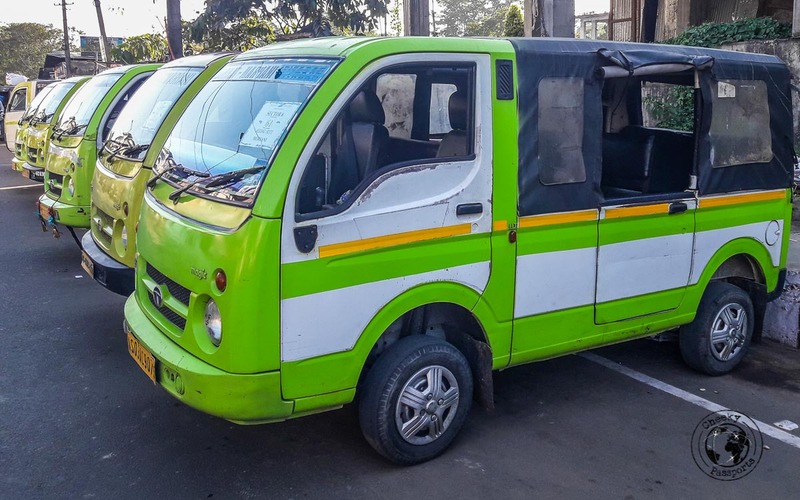 The tempos in Jorhat, Assam will only leave when full, and can usually be identified by the “Neemati Ghat” sticker attached to the front of the windshield. The stand is located on the same road, some 200 meters up at its northernmost end, as Labanya Hotel where we were staying. The ride to Neemati Ghat takes about 30 minutes. This is the first step on how to reach Majuli island from Jorhat, Assam. 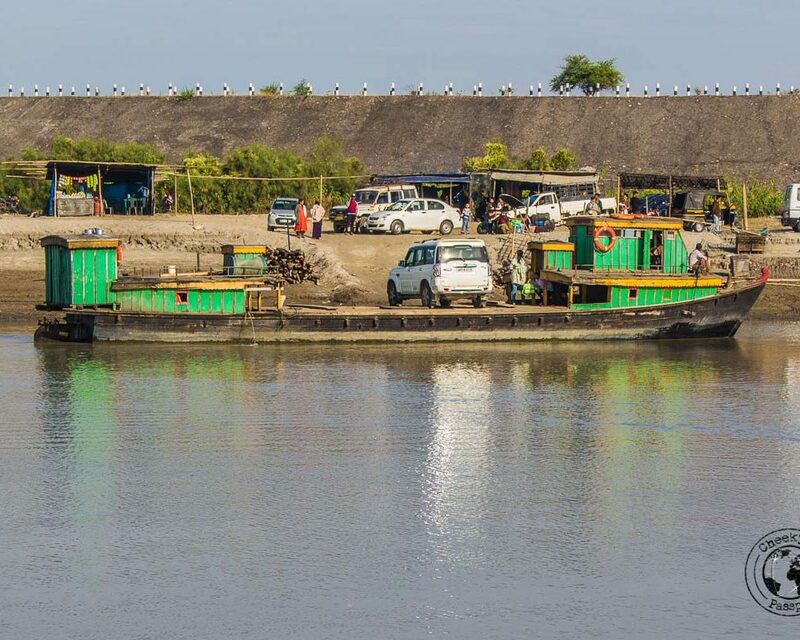 The first ferry from Neemati Ghat to Kamalabari Ghat in Majuli island leaves at 8.30am. There’s another ferry at 9.30am, so, not being early morning people, we tried going for that. Tickets are bought directly on the ferry. The ferry ride to reach Majuli island is an experience in itself. The boat is really not much bigger or better than a raft and takes up all sorts of vehicles, including 4×4 vehicles and motorbikes. The crew will help ‘walk’ the motorbikes across the plank if you are scared of doing so yourself. 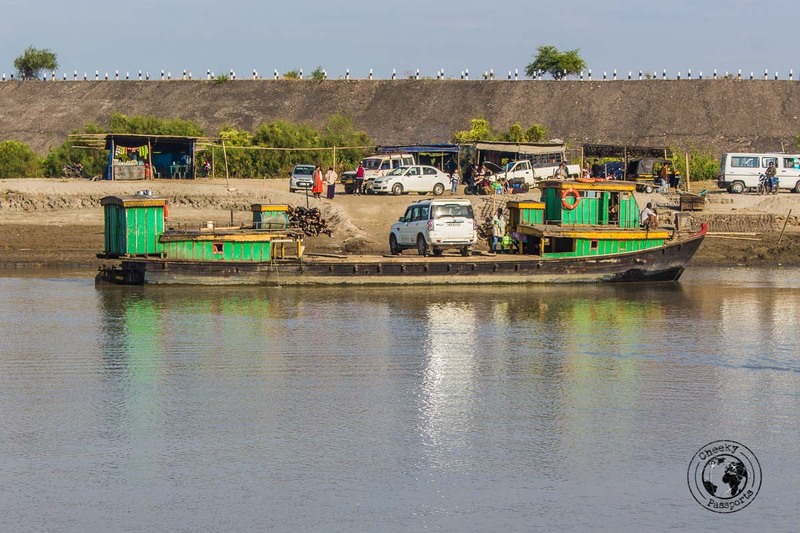 The ferry to Majuli island is typically packed with vehicles and people up to the point that the people at the sides are almost falling off. There are some seats inside, at the bottom of the boat, but they fill up quickly. Though uncovered, it is better to stay on the roof alongside the motorbikes to experience the ride and some fresh air. The ticket for the ferry to Majuli island costs Rs 15 (€0.20) per person and is bought directly on the boat. The boat takes about an hour to reach Majuli island with the trip on the Brahmaputra river being quite pleasant! Once you land at Kamalabari Ghat in Majuli island, ask for the shared jeeps and tempos which will be waiting to take you to Garamur town, although it is perfectly possible to stop anywhere else along the route. La Maison de Ananda, our accommodation of choice on Majuli island, was only a 10-minute walk away from the town center where the tempo stopped us. This is how easy it is to reach, Majuli island from Jorhat, Assam. Getting back to Jorhat, Assam involves going along the same exact route in reverse. We got a tempo from Garamur town centre which stopped us at Kamalabari Ghat just in time for the 10.30 am ferry to Neemati Ghat in Jorhat. From there, we found a tempo to take us back to Jorhat, Assam. It takes a while longer to reach Neemati Ghat from Kamalabari Ghat compared to doing the trip in reverse, due to the opposing river current. If you intend going to Kaziranga National Park, another spot on our list of the best places to visit in Assam, right after Majuli island, you can get an auto rickshaw to the main bus station and take a bus headed west which will stop you at Kohora Market. Our tips and recommendations for visiting Kaziranga National Park here will be published in a separate post. 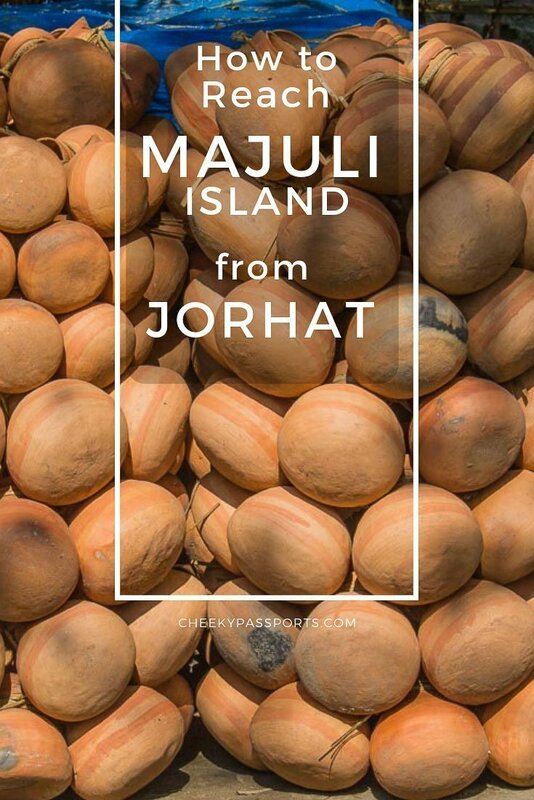 We hope that you found this post helpful in explaining how to reach Majuli island from Jorhat, Assam!